Ocean Prime features four stunning private dining rooms for our guests to enjoy: The Chevy Chase Room accommodates up to 10 guests; The Georgetown Room accommodates up to 12 guests, The Arlington Room 1 accommodates up to 26 guests and The Arlington Room 2 accommodates up to 20 guests. The Arlington Rooms may be combined to accommodate up to 48 guests. Ocean Prime - Washington D.C. OCEAN PRIME is an award-winning modern American restaurant and lounge from renowned restaurateur Cameron Mitchell. With stunning settings, a vibrant energy, an impressive menu of seafood and steaks and truly exceptional service, OCEAN PRIME is an ideal place to socialize, talk business, celebrate and indulge. I went to celebrate my husband's birthday at my favorite place. We had more unexpected guests and the restaurant staff kindly made it work and added space. The seafood Etouffee was fantastic. I highly recommend this restaurant. 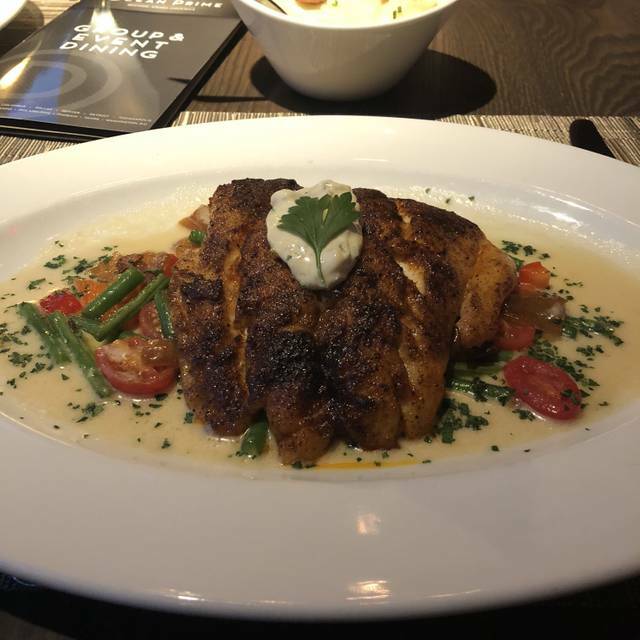 Great food, Great Service. I was able to attend 1 of 3 Brunches they have throughout the year. I'm glad a teammate recommended Ocean Prime to me. Great food. Service was very slow. Server was very soft spoken and often disappeared for long periods of time. Excellent customer service, food was delicious and on time, great ambiance. Early dinner of multiple appetizers before an NSO concert - delish! This is one of my favorite restaurant in DC. I come here at least twice a month. Service was painfully slow. 45 minutes for server to come by. Food took forever. I took a group of business associates (from out of town) to Ocean Prime for dinner. The food, service and ambiance were outstanding. Table seating was spacious. Often tables are too small or crowded when people are sharing appetizers and family style side dishes. 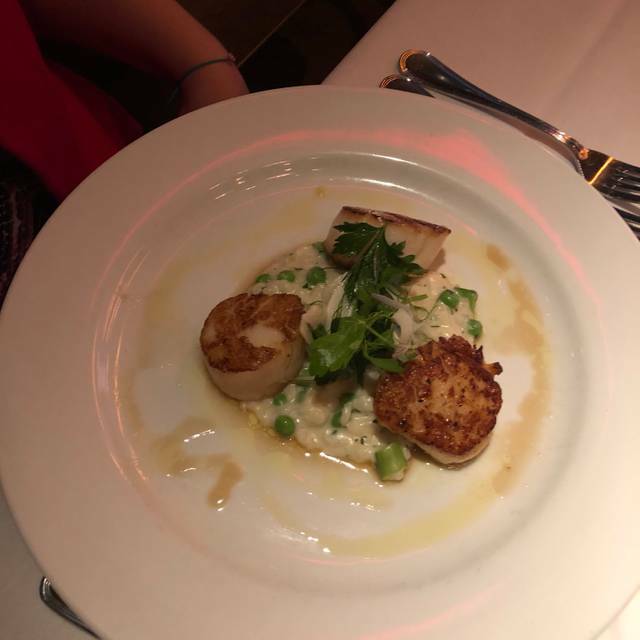 My group frequents fine dining steak and seafood restaurants and all found the restaurant, food and overall experience to be exceptional. Hubby and I visited for dinner, which was wonderful! I love visiting restaurants in DC on Sunday because there’s less traffic which was the case for this visit. The food was delicious! Our server and wait staff were very attentive. The Bacon Cream Spinach was a wonderful twist on a restaurant staple. I was so happy to discover that I could switch out a crab cake in the crab cake dinner for a Lobster Tail. Overall the food and beverage was great, and reflected a keen attention to detail. Absolutely delicious and made accommodations for food allergies with no hassle and had a yummy dessert for a birthday! The staff was wonderful and the food was delicious! Try the goats cheese ravioli it’s amazing! We could have licked the bowl clean. They offer a great kids menu and the steak was perfect! They were even able to help my very picky little eater find something she would enjoy. My husbands fish was delicious as were my lobster tails and roasted garlic mashed potatoes. A little expensive, but Worth every penny! Special Dinner out while on vacation in DC. Our server Nate made our night excellent. Fine dinning service at its best. Thank you Nate. Amazing place to dine. First time visiting and I would go back again. 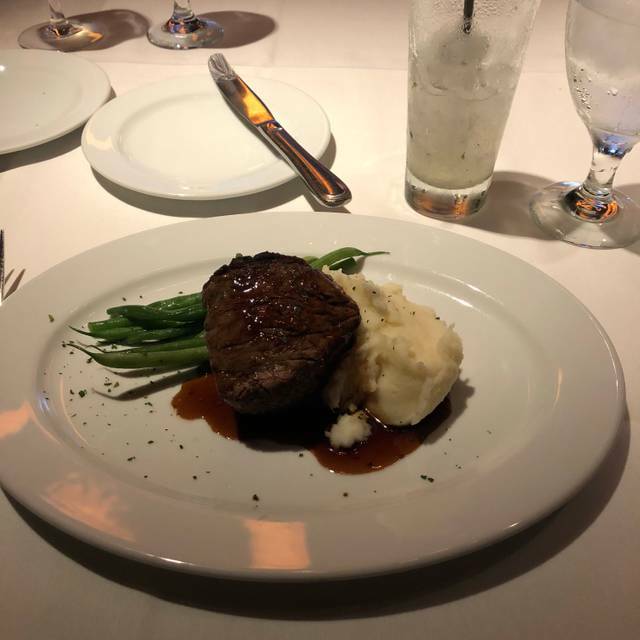 We like Ocean Prime and it is one of our favorites in Tampa. This location was a bit off but still good food. Check in was crowded and a little complicated. Service, while we got a great waiter in Tampa, was again a bit off. The first round they brought a couple of meals meant for another table. Plus, they had things on the Tampa menu that were not here and we missed them. Nonetheless, the food was quite good and of a very high standard. It was tasty and well prepared. The steaks were all prepared as ordered and the lobster mashed potatoes had plenty of lobster. The place is pricey and, at least this night, it needed to perform a little better. Still an excellent restaurant. Food really good, service slower than most Washington steakhouses. The food was outstanding. Location of our table was great. Our server was personable and polite but not attentive or aware. Multiple pieces of our flatware were dirty and our glassware wasn't polished and contained debris. We set these items to the side for collection but none of the service staff who delivered our food or drinks noticed and removed them. A restaurant with this ambience and these prices should deliver the appropriate service and attention to detail. This was a disappointing experience, and a costly one at that. Ocean Prime. Prime. As in melts in your mouth, not as in takes five minutes to chew and swallow. Your Prime was no better than a grocery store grade A, and frankly, Hannaford scores better! Lethargic service. Lobster tails over cooked and lobster flavor totally lost to cumin. No warning that cumin on lobster - should be, as not a compatible taste. Truffled fries greasy. Not a good $219 experience for two. Went there to celebrate my wife's 65th birthday with friends and family. It was a surprise dinner. The restaurant staff was very accommodating and helped make it a memorable event. Our server, Janelle was excellent! The seafood tower was amazing! Everyone's entree was done perfectly. I highly recommend this restaurant! Absolutely impeccable service with a fabulous staff. The food, as before, was absolutely delicious and the cocktails are terrific. Certainly will return and also noted that one just opened in Chicago. 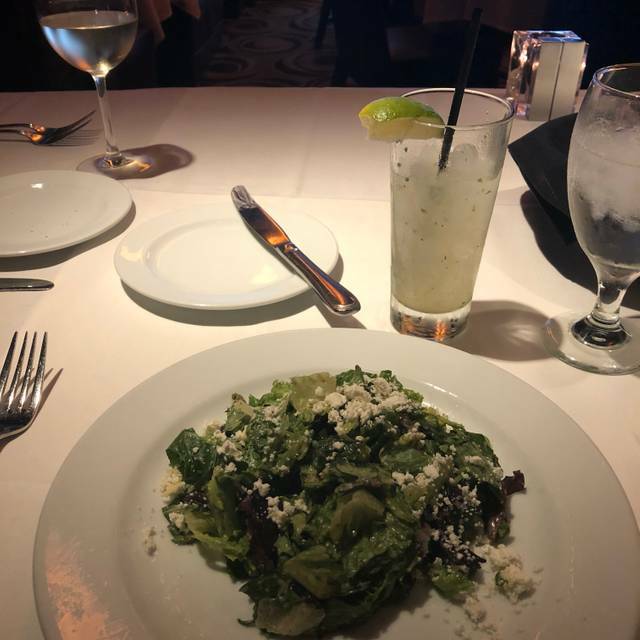 Excellent food, service and overall experience is warm and inviting. Good: The food is superb. We had the crab cake and blackened salmon salad and crab cake. Both flavorful, both with great presentation. The wine/drink menu was both varied but compact enough not to be overwhelming. Bad: Honestly wish the hostesses were more inviting and found the welcome to the restaurant cool. Through a miscommunication with the hostesses, my dining guest and I were 45 minutes in the restaurant in separate areas before we independently looked for each other. 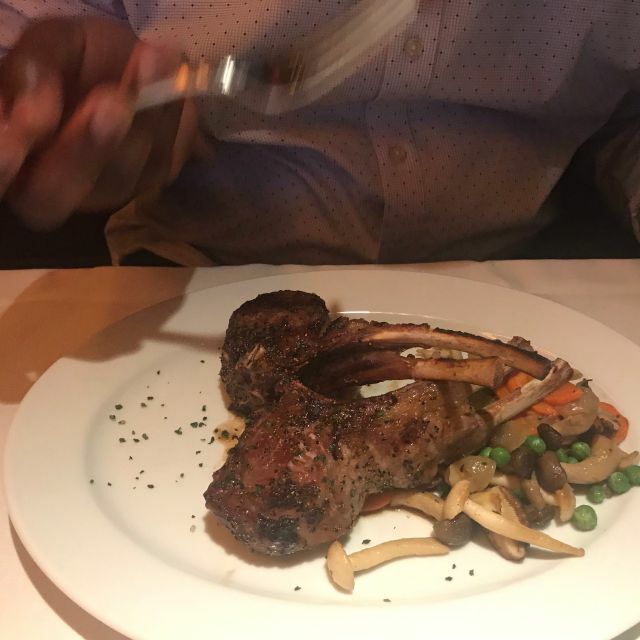 Ocean Prime is by no means a large or cavernous restaurant, so would have hoped a restaurant of its caliber would not have let two guests awaiting another party member not to languish. Great service. Our waiter Emmanuel was knowledgeable and ensured we had great accommodations. Staff offered items to accommodate my infant son. Great experience. Food was amazing as always. the Red Snapper is definitely a MUST!! The ambiance only adds to the delicious foods. Our waiter was so friendly, patient and funny! He made our dining experience great! 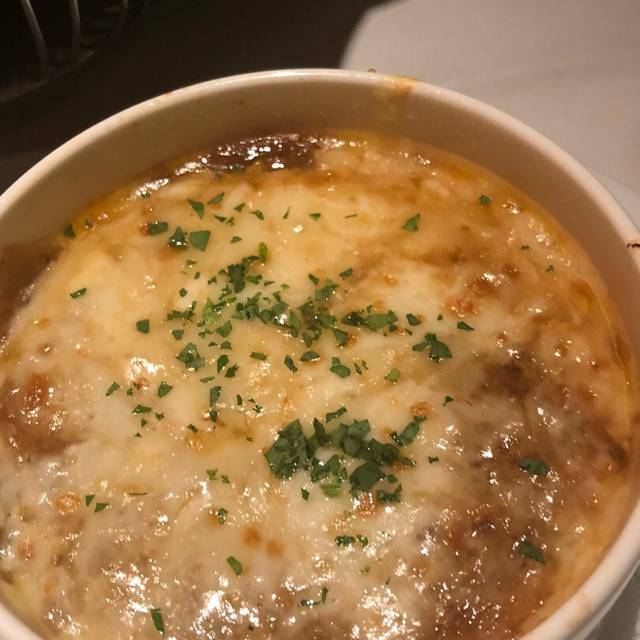 The food was outstanding and the service good. We enjoy the dinner. We had a lovely evening at Ocean Prime. The service truly was excellent -- efficient, friendly, and professional. The ambiance of the restaurant is also very pleasant. The tables are well-spaced so that there is no crowding,. We had a nice booth that was comfortable and offered privacy. The food was delicious. My husband and I had the crab cakes which were were full of crab meat ( not too much breading) and well-seasoned -- making them some of the best crab cakes I have ever had. Portions are generous. Prices are high, so it's not someplace to go for a casual meal, but rather someplace to savor for a special meal. 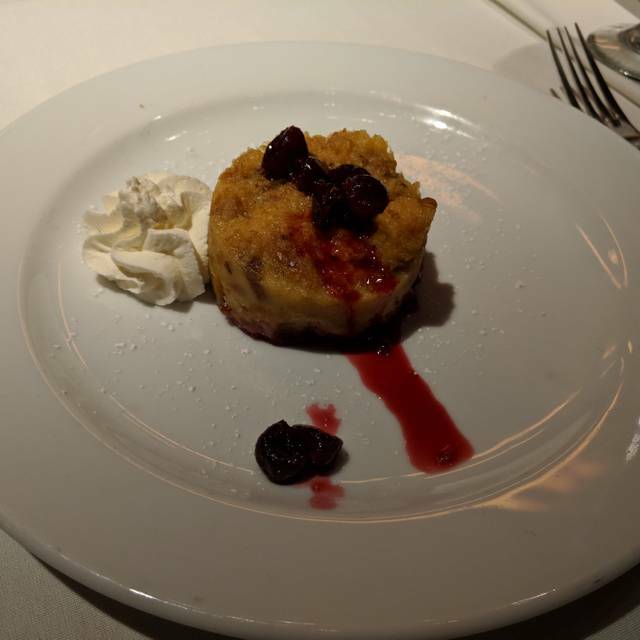 My one small critique would be that we would have liked to have seen a bit more of a selection for desert, including some American classic like apple pie, or key lime pie. Held my birthday dinner here; everything was perfect! Happy hour was so live, we got that up too! This was my first—and last—visit to Ocean Prime. I was truly disappointed by the flavor of the food. The smoked Gouda tater tots were not as flavorful as its name implies. The service could have been better. The server did not tell us what OP is known for, did not clear the table in a timely fashion. The whole experience was surprisingly underwhelming. I was very disappointed. Great visit as always! Thank you, Rebecca, for a fantastic night! 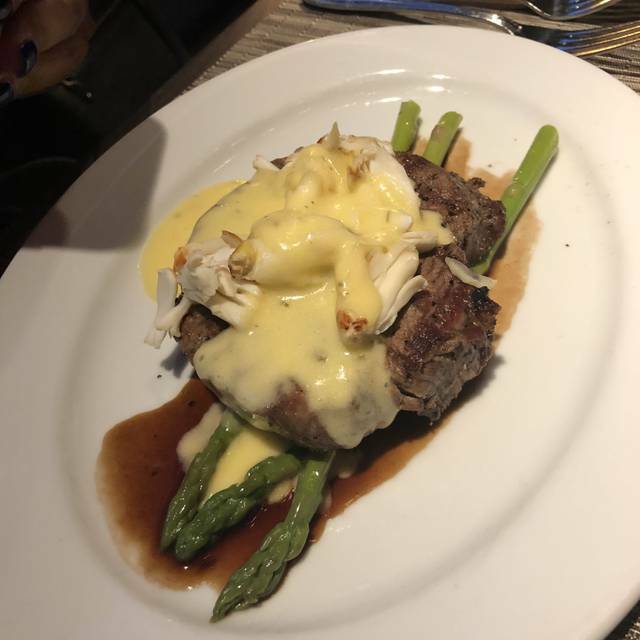 First disappointing experience with Ocean Prime on Thursday, March 28th at your Washington, DC location. 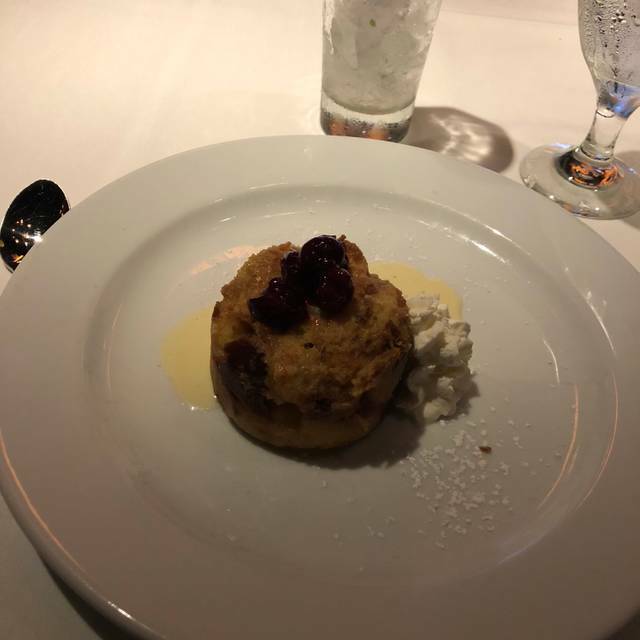 From hostesses who were judgmental and uncourteous to waitress who was careless, Ocean Prime in DC failed to achieve the usual level of Ocean Prime excellence. I am a frequent customer of Ocean Prime at your DC and Tampa locations. Example of deficient wait staff - one of my guest was invited to test wine - waitress poured wine for other guest but left the wine taster with the small amount of wine she was given to test. Too many annoying little things like this adds up to unpleasant dining experience. Nice restaurant, convenient location for a business lunch. Calamari app was nice, my salmon teriyaki was cooked properly altho came to the table a little cold. The parmesan chicken my guest had on his salad, however, was right out of the skillet. Service was fine. It was pretty loud during a busy lunch hour. One of the best meals I’ve ever had. Everything was wonderful! Save room for dessert. Service was good as well! Tweets by Ocean Prime - Washington D.C.
See Full Restaurant ListMake a Reservation at Ocean Prime - Washington D.C.